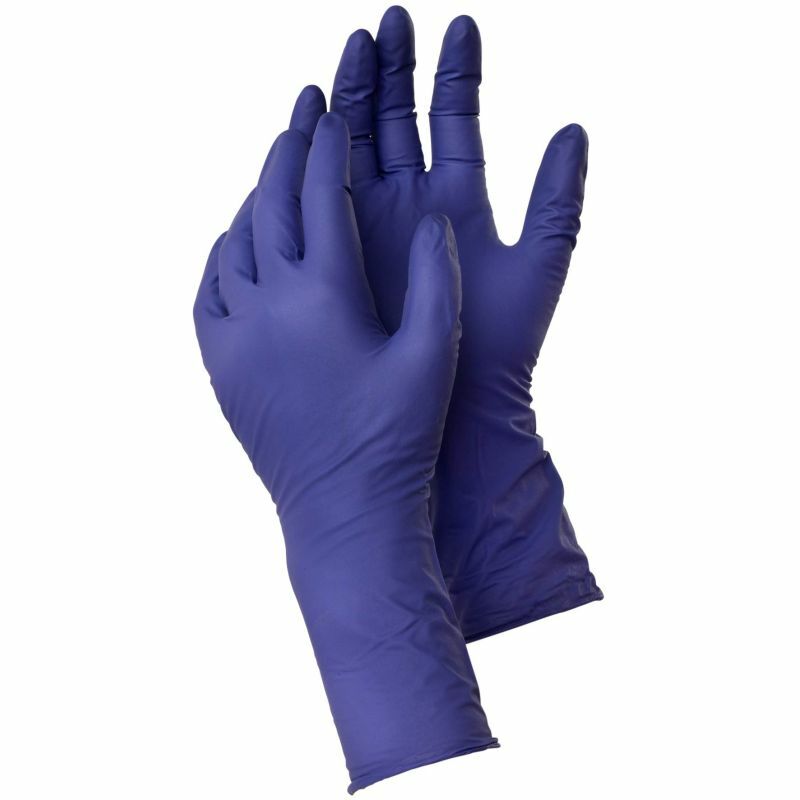 The Ejendals Tegera 858 Disposable Nitrile Gloves are disposable nitrile gloves which provide splash protection against chemicals. With good fingertip sensitivity, the Ejendals Tegera 858 are suitable for fine handling tasks. They come in an extra long purple design which is non-powdered and accelerator-free to reduce irritation. The Ejendals Tegera 858 Disposable Nitrile Gloves provide protection against a range of risks, including infection, corrosive injuries, contact with chemicals, contact with moisture, and contact with damp. This makes them equally suitable for fine assembly tasks and cleaning work, as well as a number of other light work applications which are listed below. They are also approved for foodstuff handling for use in kitchens and similar environments. 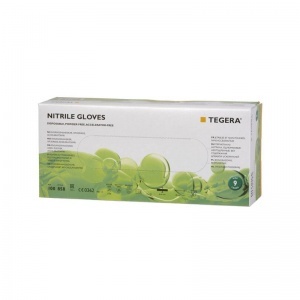 The Ejendals Tegera 858 Gloves are supplied in a box of 100 gloves. The product code for these gloves is 858. The Ejendals Tegera 858 are offered in five different sizes, the dimensions of which can be found below. To measure your hand, measure the circumference of your hand around the knuckles (excluding the thumb) with your hand open and your fingers together. 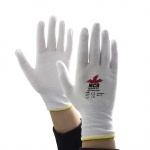 These gloves feature an extra long 280mm design for protection of the wrist area.